South Beach Phase 1 Menu – What's for dinner, Doc? 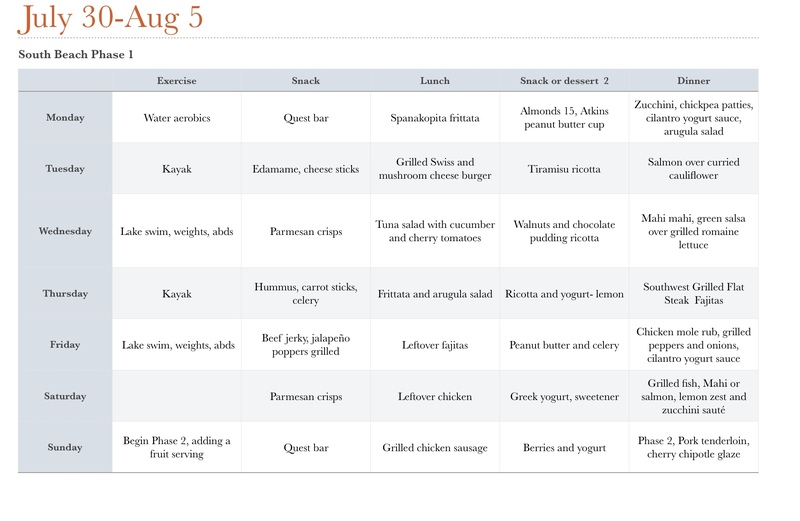 I reduced the red meat and cheeses this week and added a vegetarian day on Monday. I changed a few snacks to better fit my tastes. We are traveling to the lake house and that means lots of grilling, besides it’s too hot to bake or cook inside. I’m bringing a bottle of wine to share and I don’t think that will derail my good intentions. I plan to go cautiously into Phase 2 on Sunday by adding a daily small fruit serving. Zucchini chic pea patties with garlic yogurt sauce. Shred and press the moisture out of 2 zucchini. Combine zucchini with 1 egg, 1/2 cup finally chopped onion, 1 clove of minced garlic, 1/2 teaspoon of thyme or herb of choice and 2 tablespoons chic pea flour. Form patties and grill in olive oil until lightly brown. For yogurt sauce, whirl 1 cup of plain yogurt, 1/2 bunch of fresh cilantro, 1 clove of garlic and a dash of salt and pepper in the food processor until smooth. Save any extra for the fajitas or to serve with crudités. Rub salmon with curry spices, I used a Goan curry mix. Grill until just opaque. 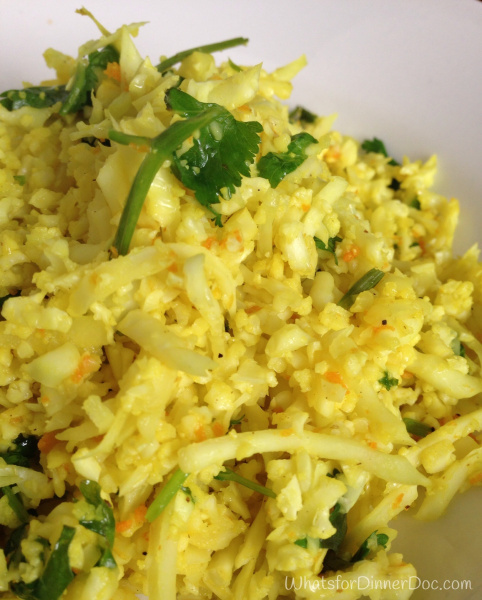 Serve over cauliflower rice. 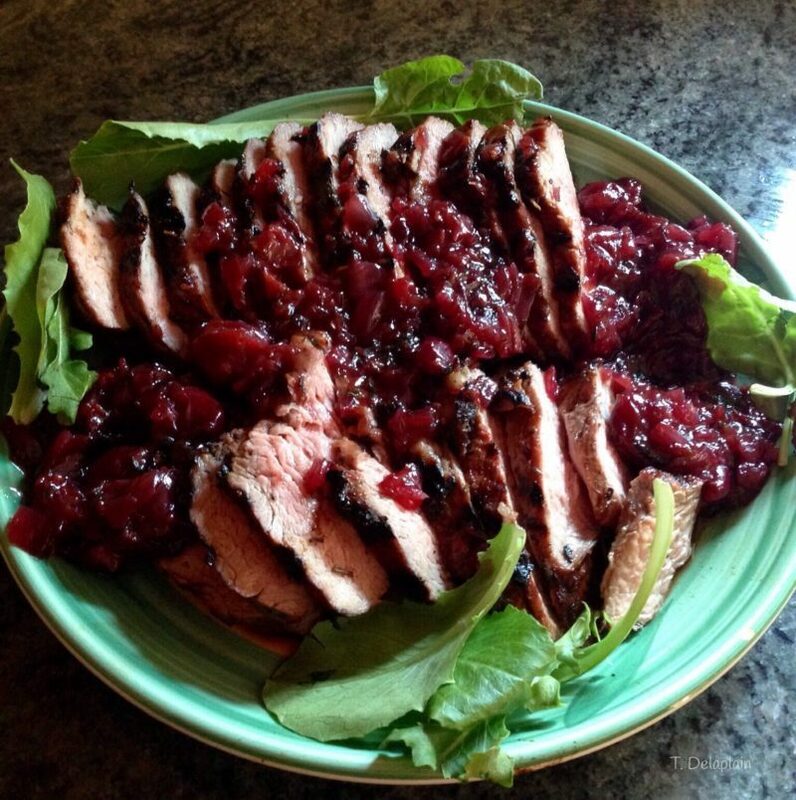 Marinate pork tenderloin for 4-6 hours in 1/2 of marinade and then grill on medium heat, serve with warmed marinade. You might like my healthy chicken recipe Pinterest Board.